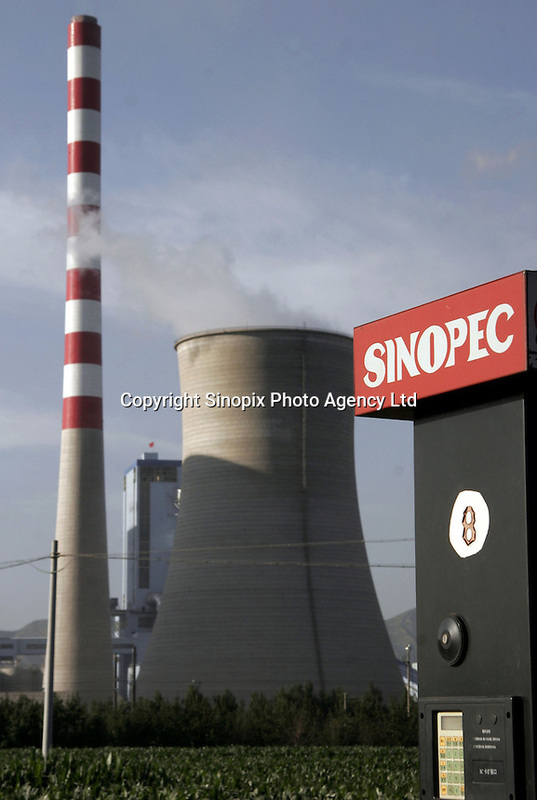 A Sinopec gas station stands close to the Shengtou No. 2 Power Plant near Shuozhou, Shanxi Province, China. While poor in petroleum, China is rich in coal, which the country uses to generate over 75% of its electricity..